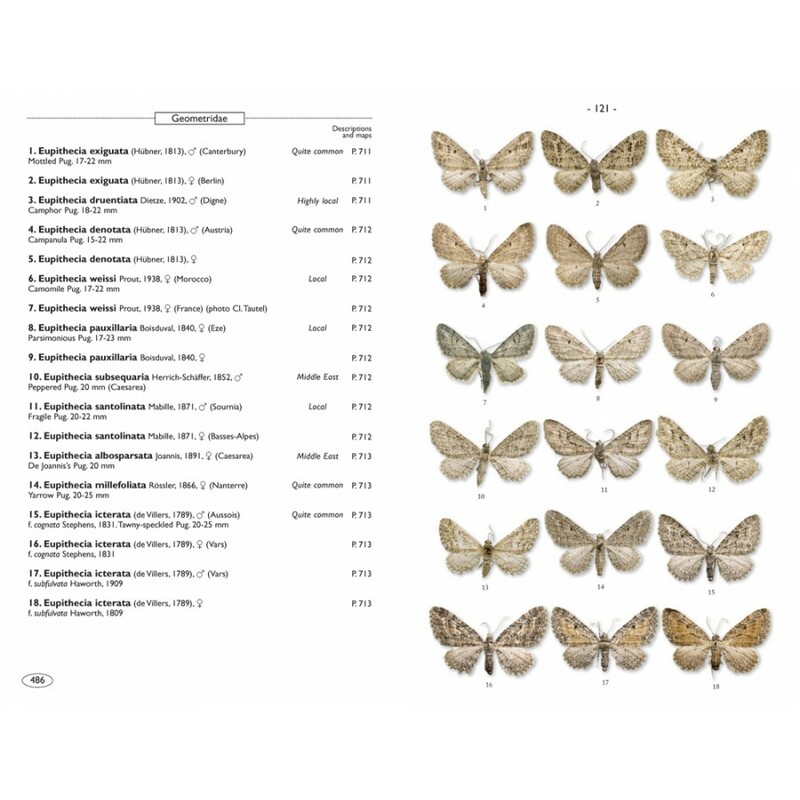 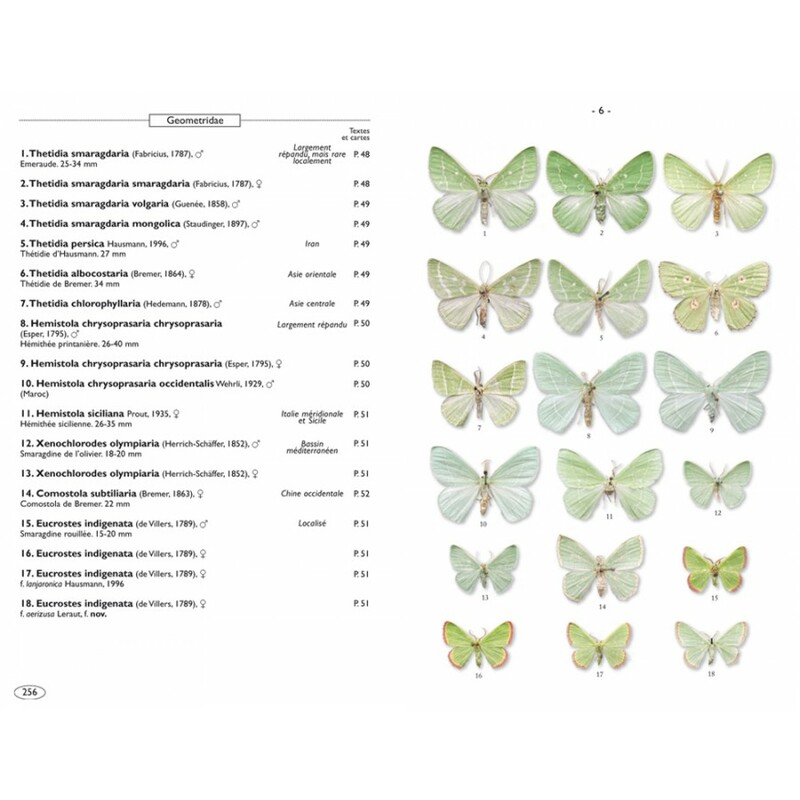 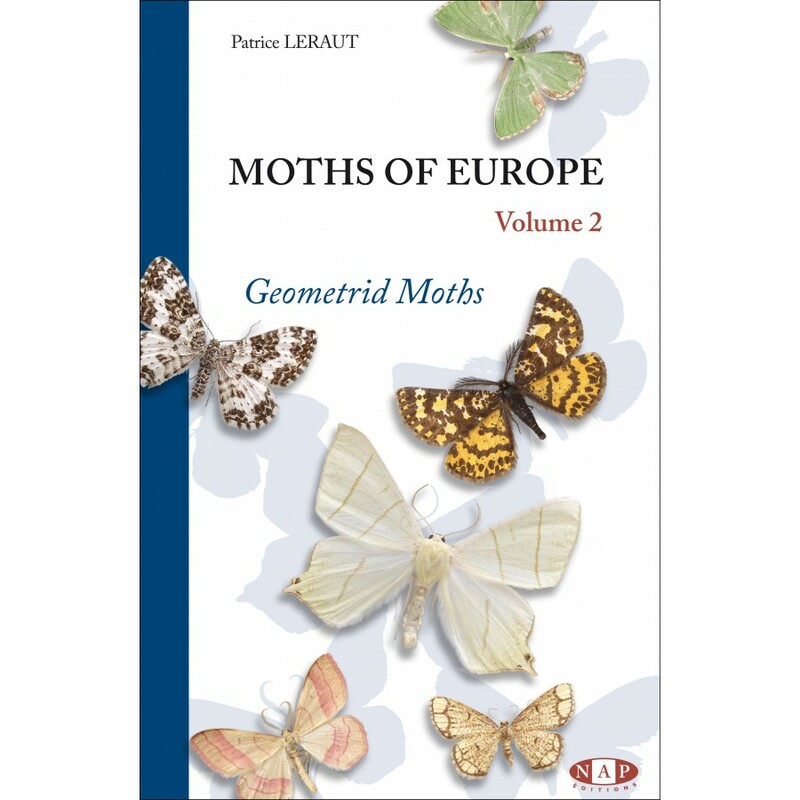 This guide book deals with more than 1000 species of Lepidoptera traditionally grouped together as geometers and classified in the Geometridae family (plus a single species from the Uraniidae): Illustrations are displayed in the form of 158 colour plates showing 1116 species in 2800 photos. 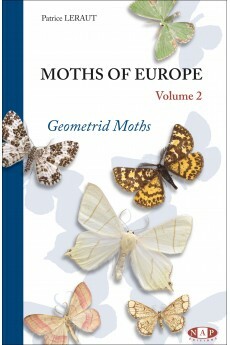 Volume 2 of a collection of 5 volumes wich cover most of the moths of Europe. 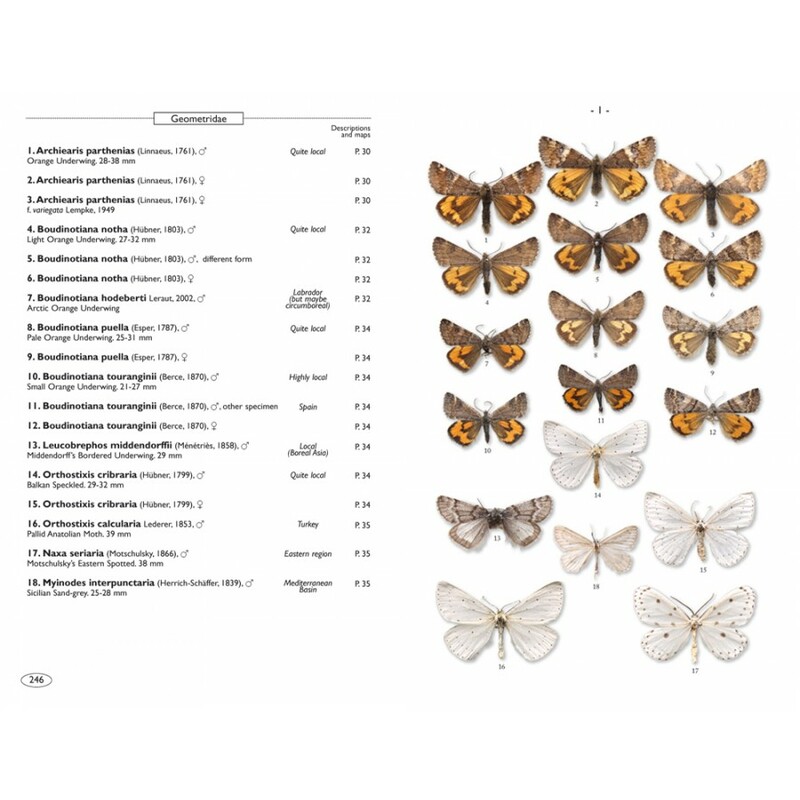 Four new genera, seven species and 17 subspecies are described. 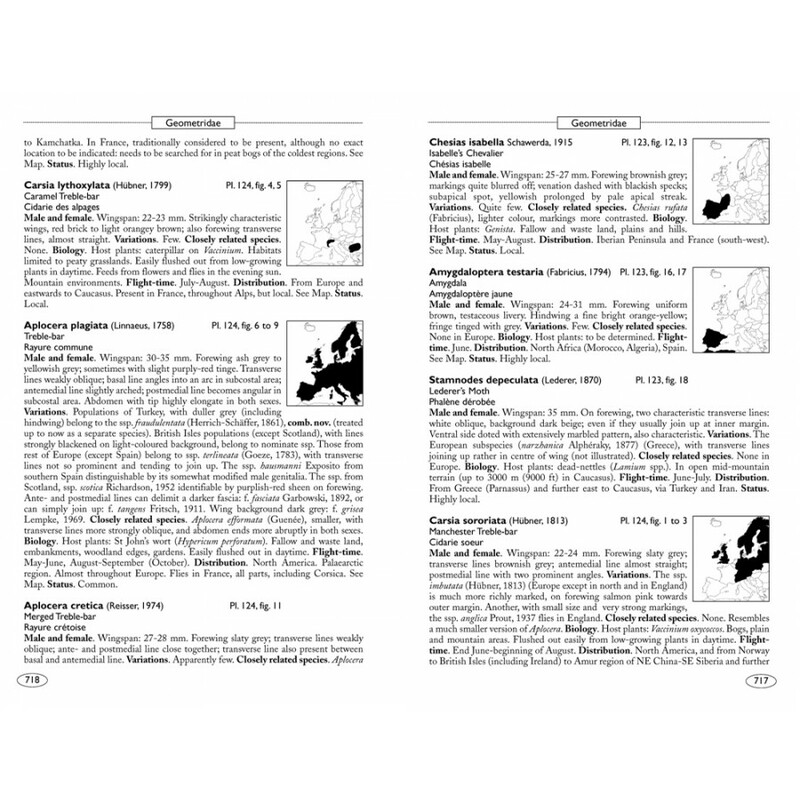 Precise descriptions of each species with information on biology, with distribution maps. 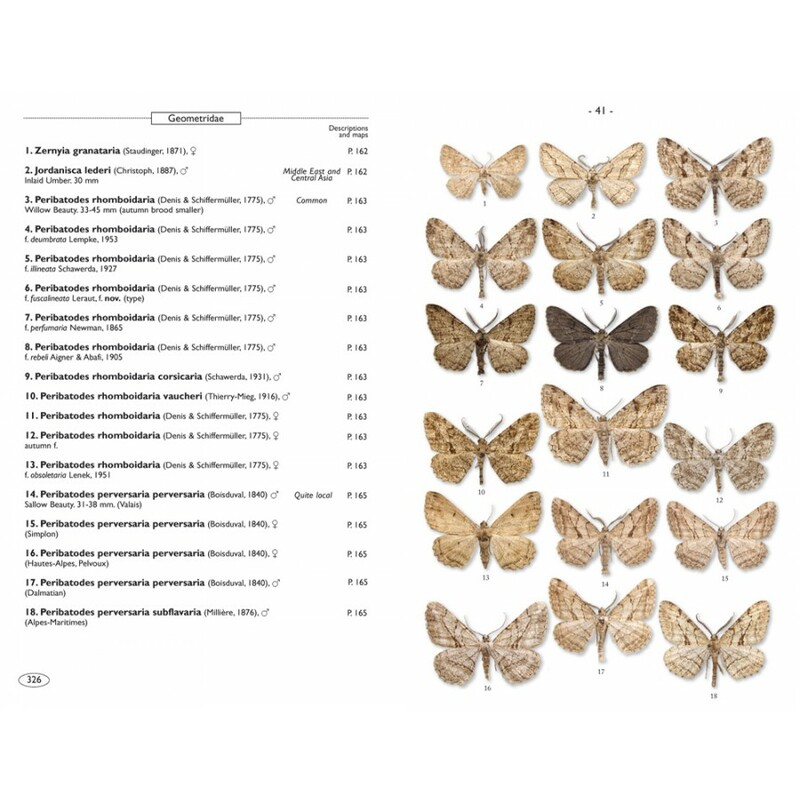 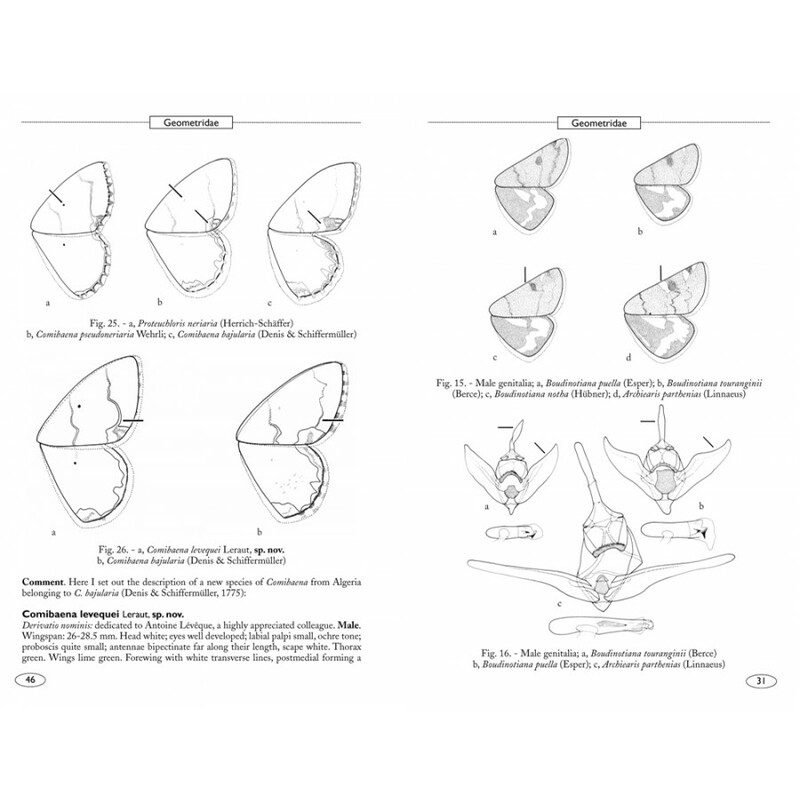 200 line drawings highlighting certain characters and structure of genitalia for taxa more resistant to identification.